The mission of Family Tree is to help people overcome child abuse, domestic violence and homelessness to become safe, strong and self-reliant. Since 2001, the Arvada Wheat Ridge Service Ambassadors for Youth (AWRSAY) has recognized youth who have overcome a major life obstacle or adversity. Arvada Elks Lodge (BPOE), is a fraternal organization. The Lodge has paid public parking and is available for rent for special occasions.. The Arvada Community Food Bank provides our neighbors with food and resources to foster self-sufficiency and achieve long term success through innovation, compassion and community support. An innovative approach to corporate social responsibility. 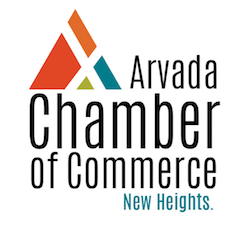 Become a leader of community engagement in Arvada! A Precious Child is devoted to providing children in need with opportunities and resources to empower them to achieve their full potential. CHF's mission is to provide transitional housing and supportive services for homeless families with children and to help them become economically self-sufficient within eighteen months to two years. On a mission to improve the quality of life for families, sick children and infants throughout our communities by providing support when and how they need it most. Non-profit medical clinic for children ages birth through 18 that have no health insurance or are enrolled in Colorado Medicaid or CHP+.